Smart ideas, useful tools and web development techniques, posted twice every week at Stampede. This experience is based on the time I got tasked to build a website based on Shopify for the first time. TL;DR, Shopify is an paid e-commerce platform that has all its hosting done on their servers. Similar to wordpress.com, Shopify also uses a web-based code editor. The editor comes with features like code and matching tags highlighting which is pretty good. However, for me, this standard is too simple because I’d rather code it on my own machine. So after a couple of hours of searching, I found what I had been looking for, Theme Kit. An example of how Theme Kit looks like. Upload themes to multiple environments. Have fast uploads and downloads. Watch for local changes and upload it automatically to Shopify. Works on OS X, Windows, and Linux. There are 2 methods of installing Theme Kit, automatic and manual. Only OS X and Linux can benefit from the automated installed however. Run the following command on your terminal. Follow the directions outputted to your console to change your bash profile so that you will have access to the theme command. Download according to your machine’s architecture. For OS X and Linux run this command in the terminal. In the second panel look for the item called Path and double-click on it. This should open a window with a text field that is overflowing with content. Click OK until all the windows are gone. After you’re done finishing with the installation, run command ‘theme’ in the terminal. If the output is like image below, then your installation is a success. Fill out the information at the top and set the permissions of Theme templates and theme assets to read and write access. Click save and you will be presented with the next screen. In it you will see your access credentials. Just pay attention to the password. as Theme Kit only needs the password to work. If you want to start developing a Shopify theme from scratch, then run this command. This will create a new theme based on the Timber template. It will then download all those assets from Shopify and automatically create a config.yml file for you. After all the files have been downloaded, you want to start editing. But don’t forget to run this command. 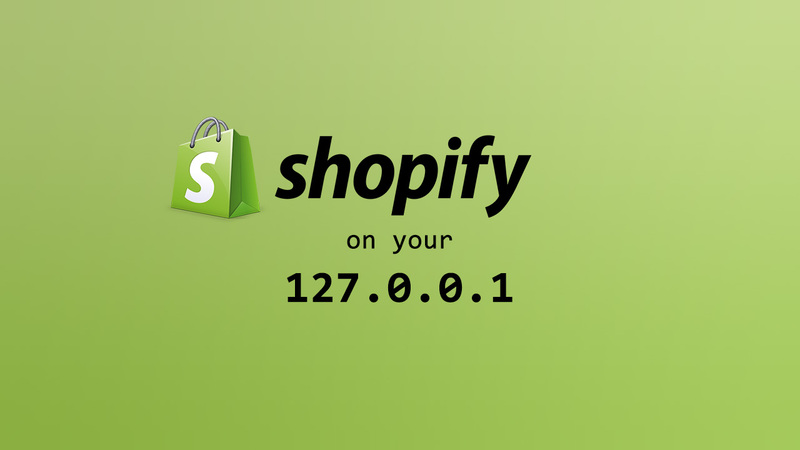 This will make all the changes you make will be automatically upload to Shopify server. So there we have it, this is how you can get developing on Shopify without being restricted to the use of their web editor. Did this guide help you? Unclear about a specific section? Drop us a comment down below and we’ll get right on it. Tony is a web analyst and developer for Stampede. He is highly inquisitive, a quick learner and always ready to take on new challenges while trailblazing through the tricky forests of web programming. A family man - in his free time, he spends time with his lovely wife and daughter. © 2006-Present Constructs by Stampede Design.